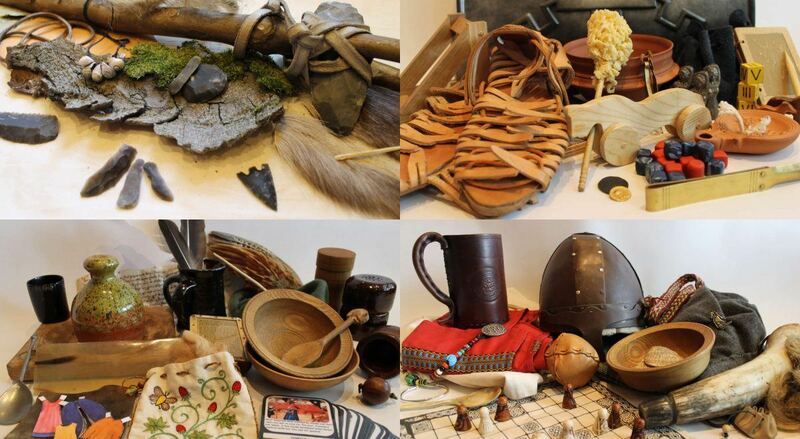 Clockwise from top left; Prehistory, Roman, Viking and Tudor loan boxes. These loan boxes contain a range of replica and original artefacts which give an insight into the daily life and vivid cultures of the time period. 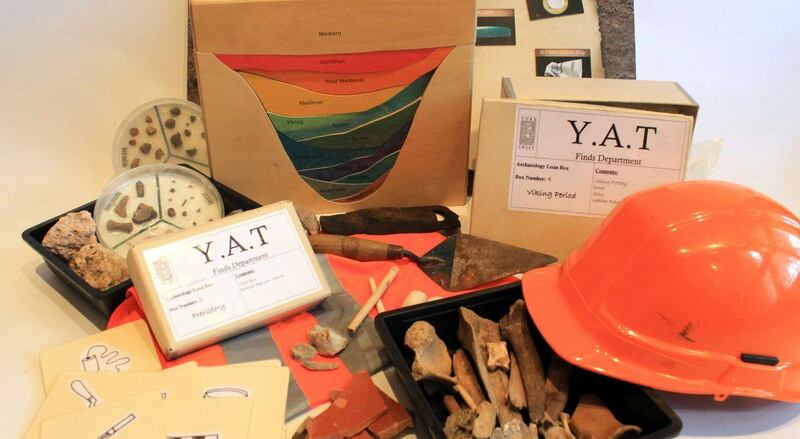 This loan box allows your pupils to explore the techniques used by an archaeologist when investigating finds, helping to illustrate chronology and providing plenty of opportunities for STEM learning within the context of historical enquiry. 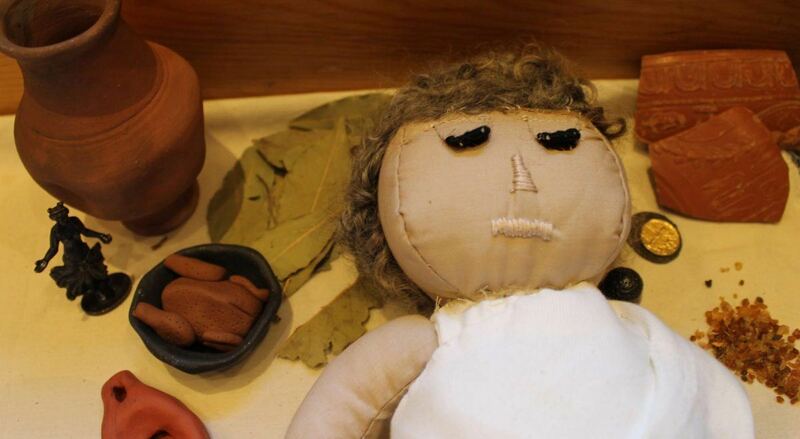 This loan box provides a further investigative angle, prompting an interactive activity session to illustrate what can be learned about a culture from the burial practices they engage in – plenty of opportunity for role-playing and investigation.